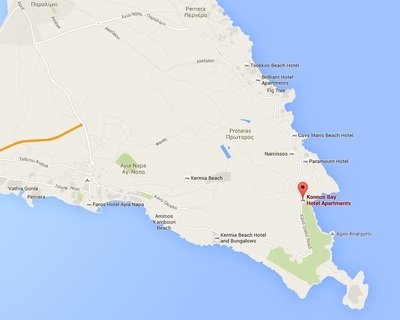 Peacefully located villas within a short drive of Ayia Napa. Ayia Thekla is at the western edge of Ayia Napa and is a long ribbon development of quiet cul de sacs and peaceful sea front residences. There is a huge choice of villas and holiday homes of all shapes and sizes located here. Stretching along the coast from Potamos Liopetri all the way to the waterpark, there are several small coves at Ayia Thekla and a larger main beach. There is a pretty chapel overlooking the sea, along with some ancient tombs. A small weekly market is held at the beach bar all year round. A pathway runs along the sea front for several kilometres, which is ideal for walking and jogging. There are a couple of mini markets and a beach cafe at Ayia Thekla but more choice of bars, restaurants and shops can be found further into Ayia Napa. Car hire is recommended for this area as buses are infrequent and taxi's can be costly if you are going in and out of town every day. 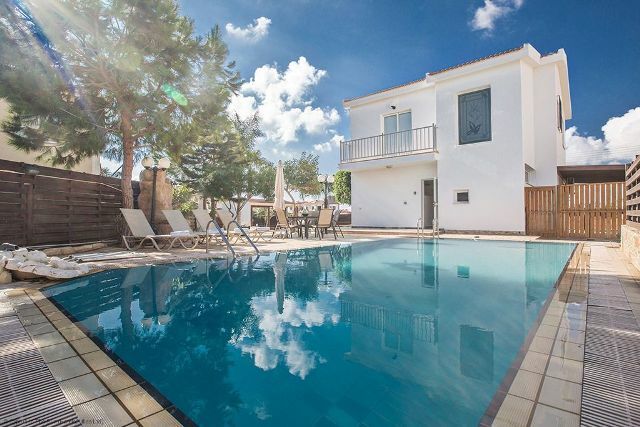 The Villa Olympia is a tranquil holiday home with a spacious outdoor area and gardens, ideal for outdoor time and sunbathing. 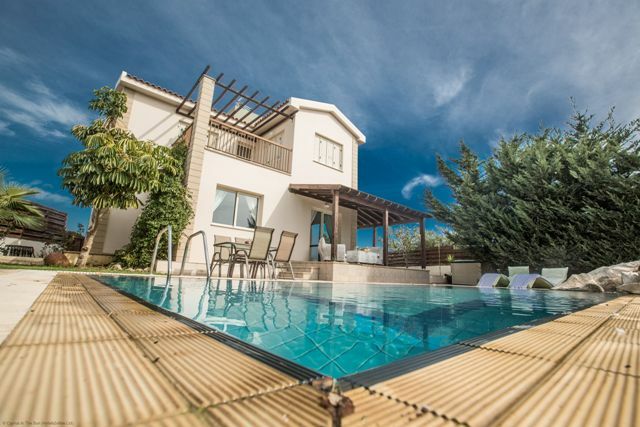 The Sunny Villa 5 has peaceful mature gardens and offers a relaxing atmosphere on the outskirts of Ayia Napa. 9 bedrooms sleeping up to 18 people over 3 adjacent villas. Perfect for large groups, the sunrise Villas have a stunning location with sea views. The delightful Villa Chios is in a tranquil location at Ayia Thekla, and is sure to create a relaxing holiday atmosphere. 3 bedroomed villa sleeping up to 6 people. Oliver Proudlock / Gorgona Villas located at Ayia Thekla. 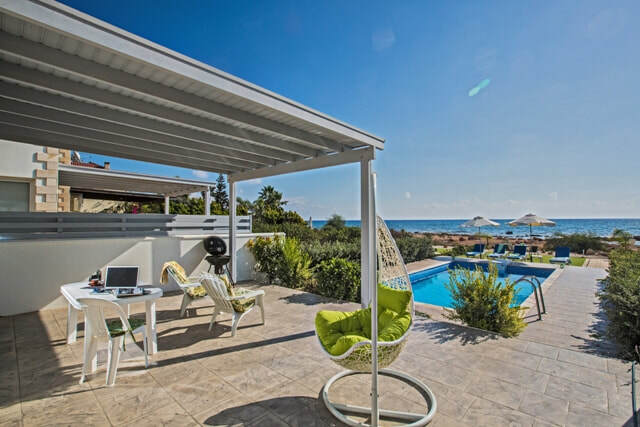 Gorgeous seafront villa in the popular Ayia Thekla area of Ayia Napa, idea for families or groups of friends. 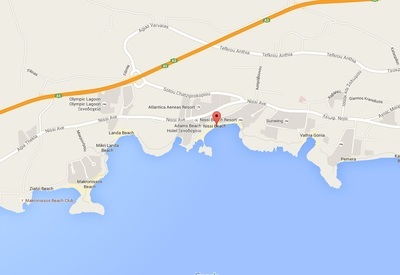 The platinum standard Sunrise Villas are celebrity endorsed and have stunning sea views at Ayia Thekla. 3 bedroomed villa sleeps up to 6 people. Oliver Proudlock Gorgona Villas located at Ayia Thekla. 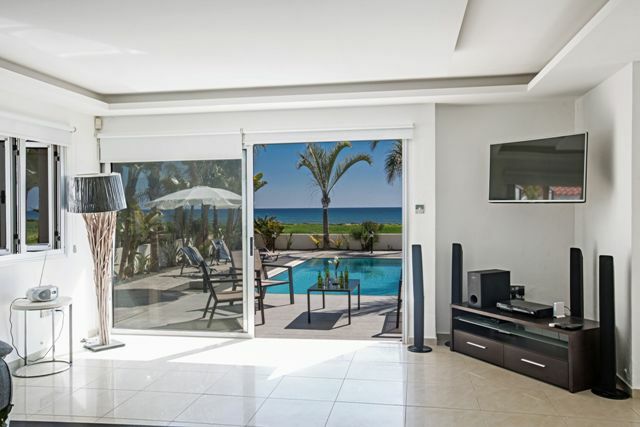 This is a Platinum standard 3 bedroomed villa close to the seafront in the ​popular Ayia Thekla area, celebrity endorsed by Oliver Proudlock. The Villa AK2 is ideal for large families wanting their own space and freedom whilst on holiday in Ayia Napa. 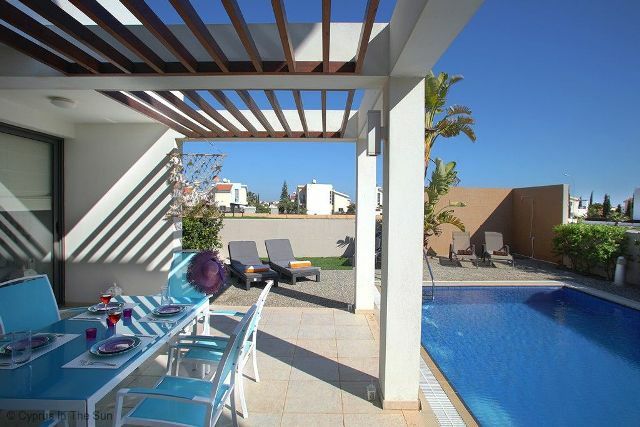 Platinum standard holiday home in the popular Ayia Thekla area with a tranquil atmosphere. 6 bedrooms sleeping up to 12 people over 2 adjacent villas. 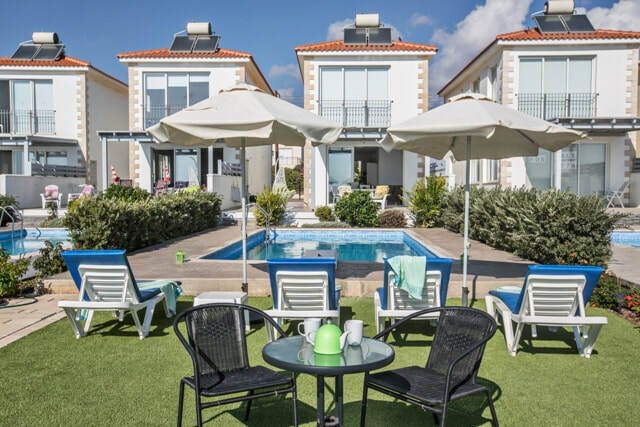 Ideal for large groups, these adjacent villas have everything needed for a relaxing sea view break in Ayia Napa. A stunning villa perfect for large groups of friends or families looking for a luxury holiday in Ayia Napa. 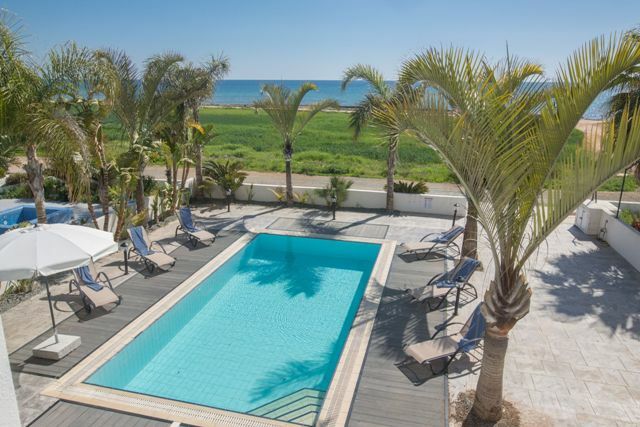 The Sunny Villas are perfectly located for enjoying Ayia Thekla's pretty beach, with Ayia Napa just a short drive away. 6 bedrooms sleeping up to 12 people over 2 villas. Oliver Proudlock / Gorgona Villas located at Ayia Thekla. 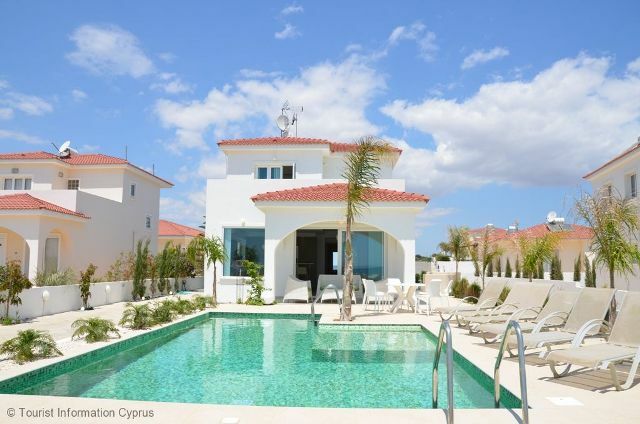 2 Adjacent villa's close to the seafront at the tranquil Ayia Thekla area of Ayia Napa. A beautiful villa, located in Ayia Thekla ideal for groups of friends or large families looking for a relaxing holiday in Ayia Napa. 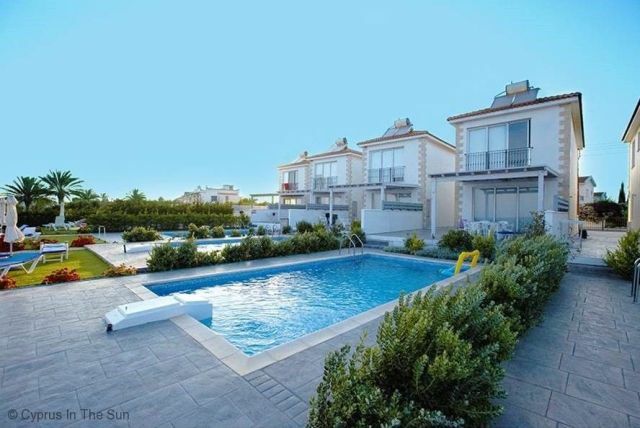 The villa Avgi is ideal for lazy days by the pool making the most of the Ayia Napa sunshine in this tranquil location. 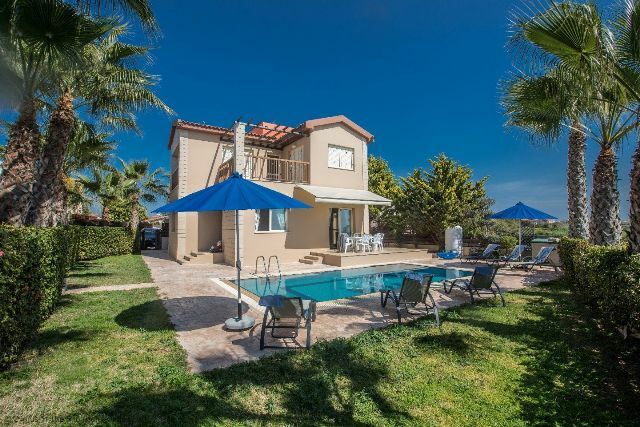 The well established Sunny 6 Villa is perfect for groups of friends of large families and is well located for relaxing holidays in Ayia Napa. 9 bedrooms sleeping up to 18 people over 3 villas. Oliver Proudlock / Gorgona Villas located at Ayia Thekla. 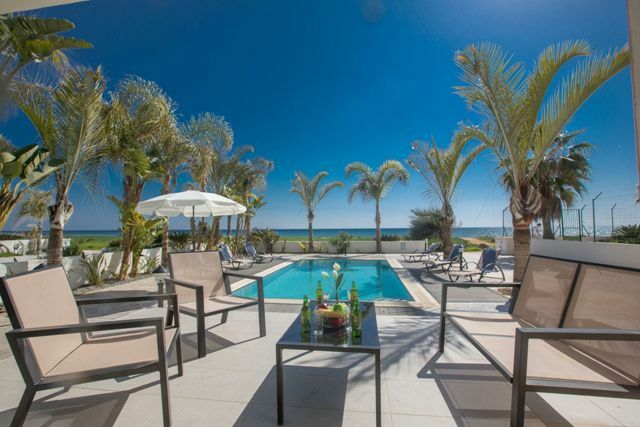 Large groups can make the most of this idyllic seaview location with 3 adjacent villas. This gorgeous villa has a stunning pool area with sweeping sea views and is finished to a platinum standard. 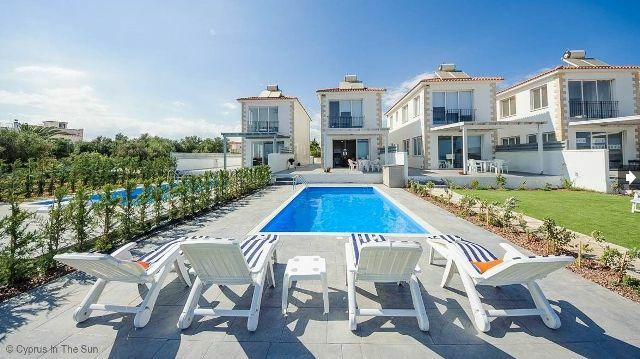 A lovely villa, ideal for making great holiday memories. 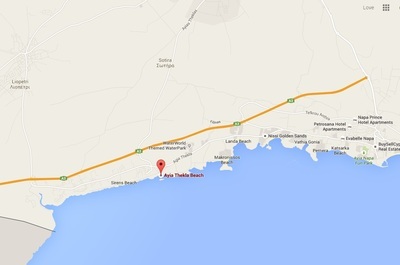 Located in the tranquil Ayia Thekla area of Ayia Napa. Platinum standard sea front villas in a beautiful location for holidays with family or friends. 12 bedrooms sleeping up to 24 people over 4 villas. Oliver Proudlock / Gorgona Villas located at Ayia Thekla. 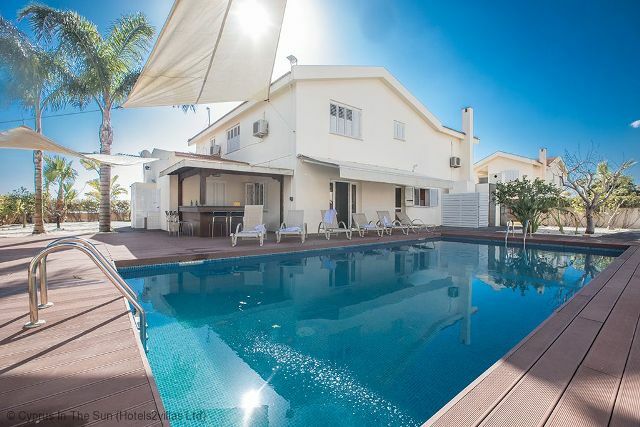 4 Adjacent villa's provide an amazing venue for large group holidays in Ayia Napa. 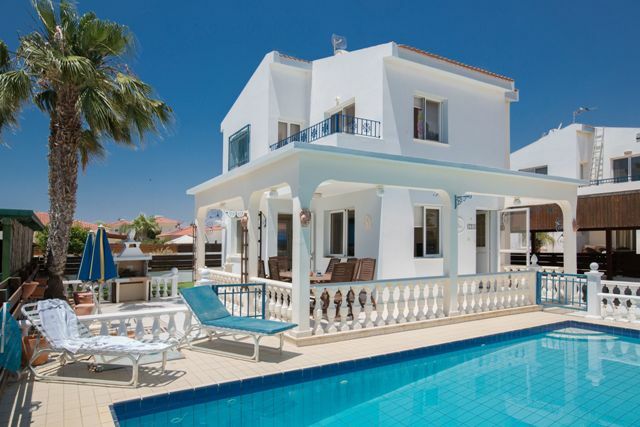 A lovely 3 bedroomed holiday rental property in the popular Ayia Thekla area of Ayia Napa. Perfect for relaxing​, chilled out holidays. 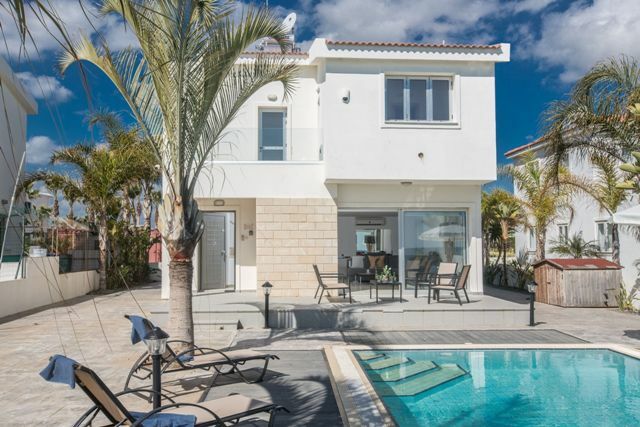 A lovely sized villa in the popular Ayia Thekla area of Ayia Napa, ideal for relaxing​ holidays with family or for groups of friends. 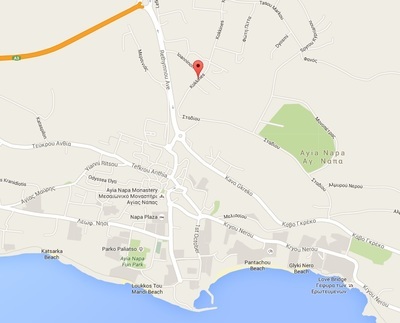 View villas in other areas of Ayia Napa - choose area below. For Guaranteed Good Times - Love Ayia Napa!